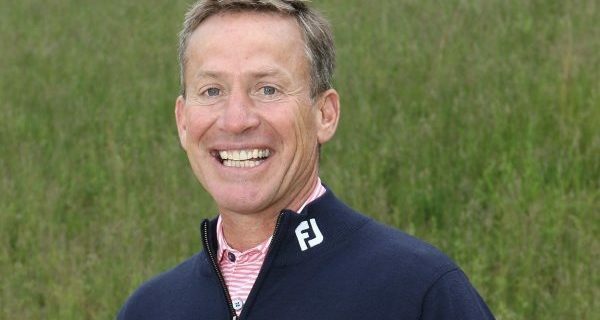 An Interview with The Golf Fix’s Michael Breed. Michael Breed is arguably the top golf instructor in America, and you get his top tips free of charge each week on one of Golf Channel’s most popular shows The Golf Fix. Breed also has a show on Sirius XM PGA Tour Radio, and runs his own golf academy. 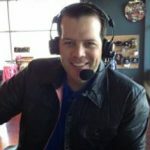 It’s a schedule that keeps him extremely busy, but he still cherishes the opportunity to help fellow PGA professionals with their teaching techniques. The WNYPGA invited Breed to deliver a seminar to it’s members on October 9th, and he was kind enough to spend a few minutes with me prior to his presentation. He was very thoughtful, entertaining in conversation, and someone that is thankful for all that golf has afforded him. Below are a few transcribed highlights along with the full audio discussion. KS: How often do you do one of these seminars? MB: I do anywhere between 3 and 5 a year. I have been fortunate enough to speak at over 30 of the section of the PGA of America. And then I’ve gone all over the world; Australia, China, Canada, Switzerland. So I’ve had the chance to do this a fair amount. KS: It’s one thing to teach amateur golfers, but what’s it like to teach your fellow PGA professionals? MB: It’s humbling, obviously. It’s also incredibly rewarding. This is my passion to make people better. That’s what we do as coaches. And to have other coaches come in to listen to you and hear what you have to say, thinking it might help them get better is a very humbling thing. So, I’m always honored and grateful to be able to do this stuff because it means a lot to me. I remember sitting in there when I was an apprentice, and even now, to go to different educational seminars to listen to what others have to say. What are the things that they’re going to do to make me a better a coach. It’s a neat experience for me, and it’s also an opportunity for me to get out and spend with PGA professionals who I feel, we are the people that are growing the game. The final thing that is sort of in my mind always is, all of us are very fortunate in the things that we do we just don’t recognize it a lot. I too get to be in places others don’t get to be in, so to be able to share these different things that I’ve been able to to do to help people improve is also a really neat experience for me. There’s a lot of little different things that go into these educational experiences. KS: Talk to me about the start of the Golf Fix. When the idea was first brought to you, and how challenging was it initially with 2 dimensions. How long did it take you to get used to that? MB: There is a lot in that question, and what I would tell you is, I probably thought of this, The Golf Fix 7 or 8 years before it launched. Not to bore you with the story, but I had plans to do it outside of Golf Channel, I had come up with this concept before Golf Channel existed. And I was going to sell the idea to cable carriers and make money that way. That was really where I was going to do it in each state. I was going to start in Connecticut, my home state, get on all the cable carriers in Connecticut and move from there. I was fortunate that Golf Channel, and I had created a relationship with Golf Channel that was not an instructional thing. When they came to me, they came to me with ‘we need some ideas for a show’. I gave them the pilot to what we had done. That’s when they said ‘we’d love to have you do it on Golf Channel’. As far as teaching in a 2 dimensional space where there are no questions. What I have always tried to do is think of what questions somebody might have and then almost, almost interact like the camera is an individual. I look at the camera not as 100,000 people , a million people, whatever. But as an individual. ……..Invariably people feel like I’m talking to them. KS: Do you advocate playing golf or the golf swing? MB: I think we have a lot of people that go out and just play golf swing and they forget that they’re playing golf. For me, you can know what chess pieces do, but if you don’t know how to move them around the board, you’re never going to be able to play the game. You have to know how to move them, you have to know what they do, but you also have to know how they interact. ….So, the game of golf is the exact same thing. Getting angles on a golf course is something people don’t talk about. You don’t really hear a lot about it on the week to week broadcasts. They don’t allow the time for it, and quite candidly, when you’re a genius at the level they’re at they just do it. Player that are just average players, they’ve never even talked about it. You can watch The Golf Fix on Golf Channel Monday evenings at 7:00pm. You can follow Micheal on Twitter @MichaelBreed and learn more at his website.